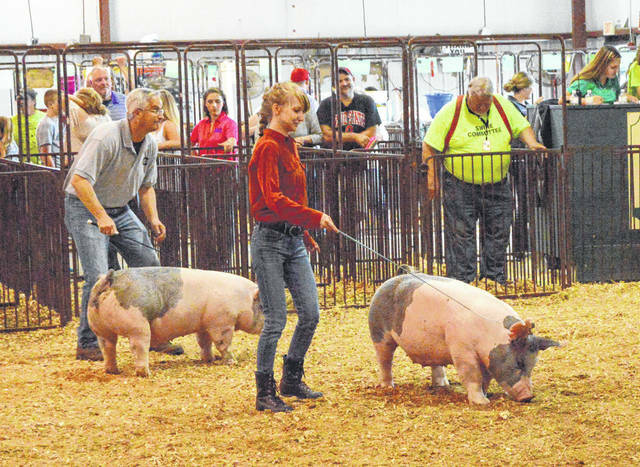 https://www.beavercreeknewscurrent.com/wp-content/uploads/sites/49/2018/08/web1_celeb01.jpgWhitney Vickers and Dave Deskins, the superintendent of the Greene County Career Center (left), were the finalists in the second flight of celebrity competitors during the Celebrity Swine Showmanship event, Aug. 1 at the Greene County Fair. In the opening competition, WHIO TV’s Gabrielle Enright won, with WRGT TV’s Megan O’Rourke finishing second. 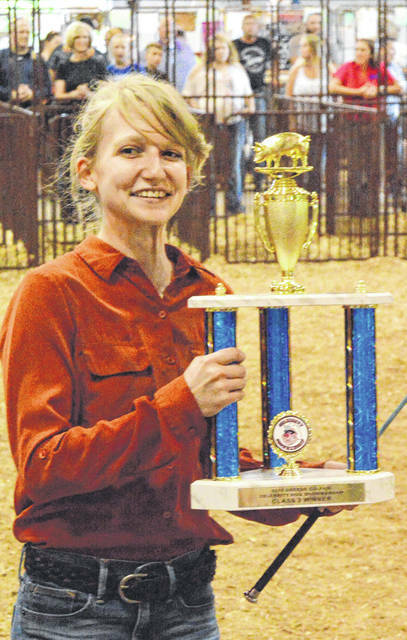 https://www.beavercreeknewscurrent.com/wp-content/uploads/sites/49/2018/08/web1_celeb02.jpgJohn Bombatch | Greene County News Whitney Vickers proudly holds her first-place trophy after winning the second group of the Celebrity Swine Showmanship contest Aug. 1 at the Greene County Fair. 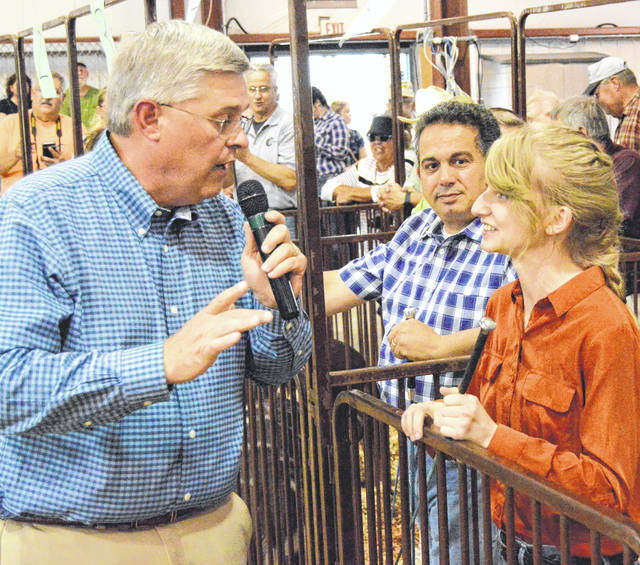 https://www.beavercreeknewscurrent.com/wp-content/uploads/sites/49/2018/08/web1_celeb03.jpgWhitney Vickers answers a question from judge Dr. Kevin Sharrett, during the second Celebrity Swine Showmanship event held Aug. 1 at the Greene County Fair.